Kannur Airport is likely to serve around one million passengers annually. Indigo and Air India aircraft have already conducted a trial run at the airport. Kannuar airport: There are 48 check-in counters apart from the self-service facility enabled by 2 baggage drop counters. Kerala is all set to get its fourth operation airports in Kannur. 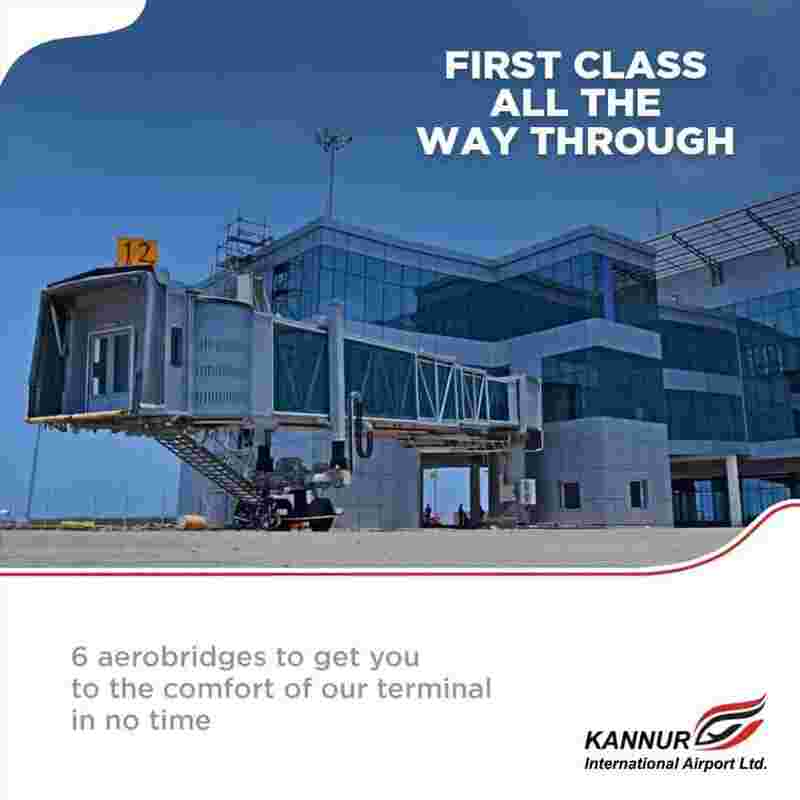 The Kannur International Airport will be inaugurated on December 9. This is the second greenfield airport set up under the public-private partnership (PPP) model and has been built at a cost of Rs 2,292 crore. The airport has received all the necessary approvals from the authorities. The Directorate General of Civil Aviation (DGCA) has issued the aerodrome licence to Kannur International Airport (code CNN) on 4th October, 2018. The DGCA licence is the final approval required to commence operations. Kerala already has three operational airports in Thiruvananthapuram, Kochi and Kozhikode. The airport is likely to serve around one million passengers annually. Indigo and Air India aircraft have already conducted a trial run at the airport. The airport will help Malayalees from the region working in the Middle East. It will also boost tourism in the area as it is located near several famous tourist destinations like Coorg, Mysore, Bekal, and Wayanad. However, it won't be a part of the central government's ambitious UDAN scheme. Once operational, the airport may start providing flights during the night and early morning hours based on the demand. However, to start with, the initial flight operations will be during daytime only. * A single integrated terminal building with a total area of 97,000 sq. m. The design promotes the efficient use of space and passenger convenience. * There are 48 check-in counters apart from the self-service facility enabled by 2 baggage drop counters. This will make the check-in process faster and more convenient for passengers. * With a focus on convenience and comfort; the airport features 6 passenger boarding bridges that provide all-weather access to aircraft and speeds up the boarding and disembarking process. * Kannur International Airport will offer superior connectivity to Malayalees from the region working in the Middle East. * The airport has been equipped to operate Code-E aircraft including the Boeing B-777. * It has category 9 Fire Safety and standard III X-ray machines. * It is located near tourist destinations like Bekal, Wayanad, Coorg, Mysore. * Around 20 domestic and international airlines have shown interest in operating from Kannur. 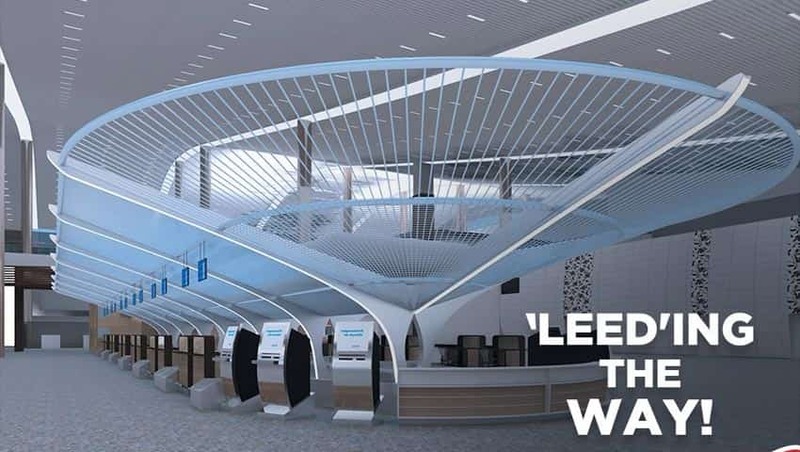 * The integrated passenger terminal building design with a LEED (Leadership in Energy and Environmental Design) Gold rating offers passenger convenience, promotes efficient space utilisation and is environmentally friendly. It has an installed capacity of 7-MW plant which will be increased to 10 MW in the coming years. * The airport runway has ILS system. 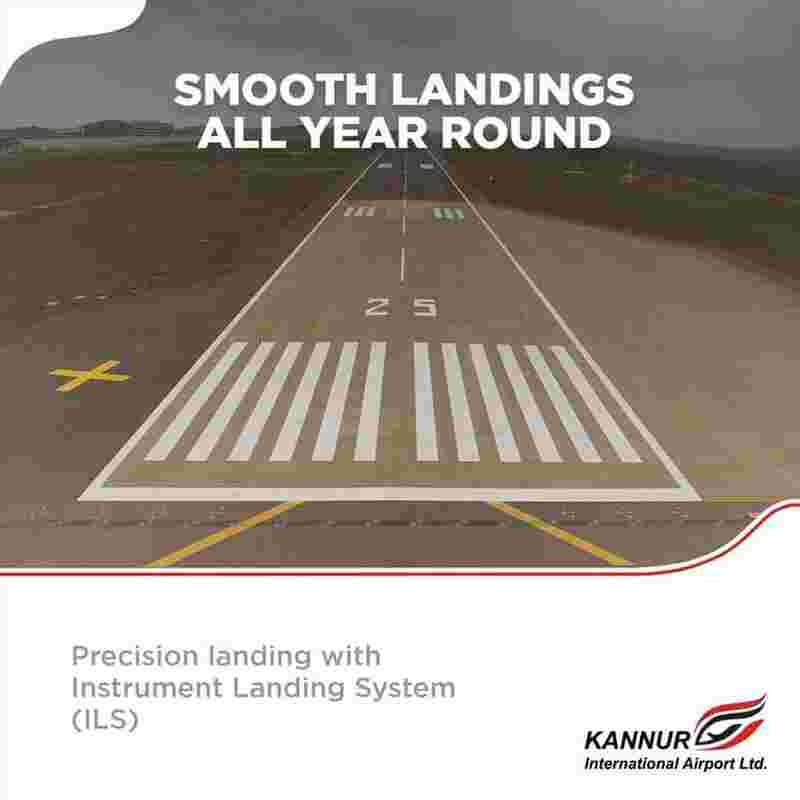 The Instrument Landing System (ILS) consists of a glide path and a localizer for touching down on the centre line of the runway. This will aid in the precision landing of aircraft even during bad weather.